IP Phone Service Provider Directory - IP Telephone Services and Internet Telecom Service Directory. Are you looking for an IP Phone Service provider? If you are an IP phone service provider company or a telecom service provider and would like your website included in this directory, please use our Submit Phone Service Website form. It's FREE and simple to add your website. The following is a list of organizations that according to their website descriptions provide IP phone service and telecommunications services. Database Systems Corp. is not affiliated with any of these organizations nor does it promote or endorse the products and services of these companies. These websites promote various types of phone services including long distance service, local phone service, voip services and various telecom service, etc. The BroadVoice IP Phone Service allows any residential or small business customer to use their cable or DSL BroadBand Internet connection to make and receive Voice over IP phone calls using an ordinary, analog telephone. ClariVoice� is a leading edge technology that transforms your high speed Internet connection into a regular phone line. But unlike old IP phone technology, you don't need headphones, software or even a computer. You simply connect your existing phone to your ADSL/cable modem using our adapter and you can start making and receiving calls right away. That's all! No technician appointments! Voice Services including local and long distance services and free inter-office calling. 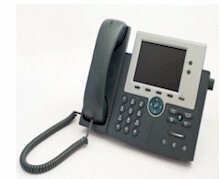 Covad VoIP can work with or replace your existing PBX or Key system. Net2Phone features a complete line of VoIP solutions that enable carriers to quickly and easily deploy new services at minimal cost. With Net2Phone supporting your efforts, you can focus on growing your core business while leveraging our expertise to host your VoIP services. Like other industry leaders, Primus delivers high-quality calling solutions for more than 2.4 million consumers, including small & medium enterprises and multinational businesses. Unlike the rest, Primus takes advantage of global telecommunications deregulation and acts as a long distance phone provider with its VoIP service, Lingo. This also allows Primus to bring you facilities-based networks and facilities-based datacenters for a sophisticated line of services to manage your complete E-Business and data communication needs. Primus has ownership interests in over 23 transoceanic fiber-optic cable systems in Europe, North and South America, and the Asia-Pacific region. Primus leverages these assets to provide local, long distance and international calling service for residential and business phone systems. Founded in early 2004, SunRocket is changing an industry, bringing you new choices, better value, and ultimate control of your home phone service. Powered by the Internet and designed to replace the overpriced, obsolete services from your old phone company, SunRocket IP Phone Service harnesses your home high-speed connection to deliver a radically better suite of customized features at an amazing value. Digital Phone from Time Warner Cable - Don't be bound by traditional long distance calling plans that charge you different rates depending on when you call. With Digital Phone service from Time Warner Cable, you can call anyone in the United States and Canada, as often and as long as you want, for as low as $39.95 a month. Plus, get the most popular and convenient calling features like Call Waiting, Caller ID, Call Forwarding, Speed Dial and more at no extra cost. "ViaTalk provides the most cost effective, complete broadband phone service package available to United States residential and business customers. Our unparalleled 24/7 technical support team coupled with our state of the art fiber optic network ensures you that you will have the highest available quality of service at a great price", stated Brendan Brader, HostRocket Chief Executive Officer. StarNet is a leading provider of dial-up Internet access and related products and services in North America. Through its state-of-the-art, fully owned MegaPOP network, StarNet provides reliable, high quality services designed to serve the consumer markets and the small to medium-sized ISP. StarNet now applies the same datacom management expertise and large-scale logistics to the VoIP marketplace. Combined with StarNet's longterm history of tactical speed and focused customer care, this exciting new technology will grow as quickly as the wholesale ISP model pioneered by StarNet in years past. Using an existing high-speed Internet connection, Vonage technology enables anyone to make and receive phone calls - worldwide - with a touch-tone telephone. Offering quality phone service bundled with enhanced IP communications services, our interactive communications portal is a gateway to advanced features only available through digital telephone service. Utilizing our global network and advanced routing technologies, Vonage offers an innovative, feature-rich and cost effective alternative to traditional telephony services. Vonics Digital is a next generation digital communications company that allows consumers and businesses to make and receive phone calls anywhere in the world using a high-speed Internet (ISDN/DSL/Cable) connection. Designed with both residential and business customers in mind, Vonics allows anyone with broadband Internet access to use their regular phone to make UNLIMITED calls to anywhere in the U.S. and Canada for low monthly fixed price. Vonics offers advanced and innovative digital features with lower rates than traditional phone companies, while providing crystal clear digital voice quality. Vonics customers benefit from unlimited calling, lower international rates, and a myriad of advanced digital features not available with traditional telephone service. 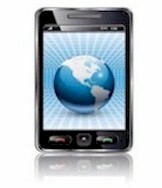 WebPhone provides easy-to-use software to make calls to over 250 countries at extremely low rates. Simply sign up, download our free software and add money to your account to get started. With WebPhone you can call anyone, anytime, and save big money on your phone bill! Contact DSC to learn more about our phone systems and services.